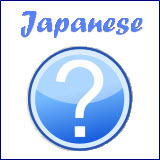 There are two ways on how to say age in Japanese using Japanese numbers. They are differentiated by 音読み (onyomi) and 訓読み (kunyomi) readings. For 音読み (onyomi) reading, all you need to do is to append the word 歳 (sai) to the number and you will get the age. 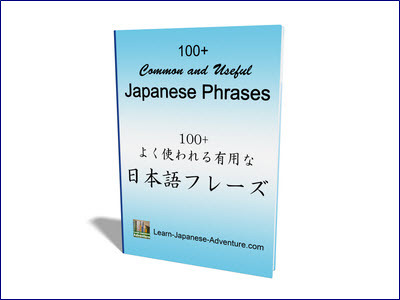 Whereas for 訓読み (kunyomi) reading, follow the special numbers you have learned in various counters of Japanese. 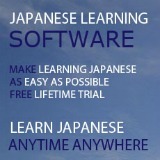 The hiragana "お" (o) is added to make the sentence more polite. The table above shows the Japanese age counters using 音読み (onyomi). You just need to append さい (sai) to the number to get the respective age. Note that because the kanji 歳 (sai) is too difficult to write, sometimes another kanji 才 (sai) is used instead. 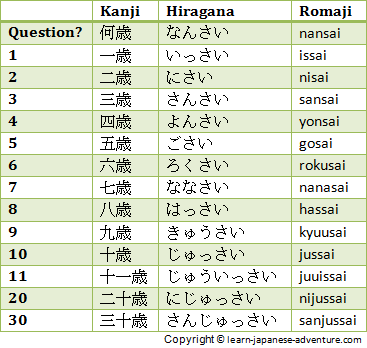 Take note that ages like 1, 8, 10, 20, 30 and all the ages in the tens have to be pronounced differently, the same as you have seen for different pronunciations in various counters in Japanese. The table above shows the Japanese age counters using 訓読み (kunyomi). 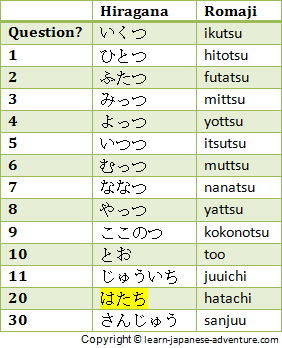 As you can see they are the same as the special numbers mentioned in Japanese Counters, except for twenty years old which is pronounced as はたち (hatachi).